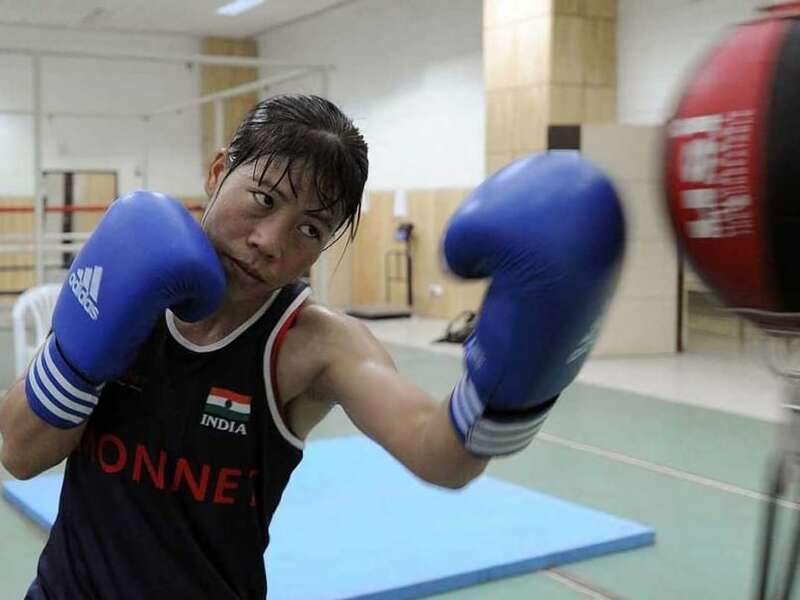 Mary Kom made mincemeat of Soniya in her bout to make it to the next round of the South Asian Games qualifiers. Sarita Devi defeated a tough opponent P Basumatary in the quarter-final round. 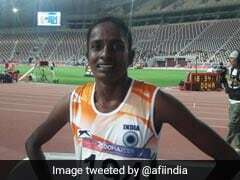 Sarita defeated a tough opponent P Basumatary in the quarter-final round to proceed in the South Asian Games qualifiers and test event at the NEHU, SAI Special Area Games in Shillong on Wednesday. Mary Kom made mincemeat of Soniya in her bout to make it to the next round. Sarjubala Devi, Aruna Mishra and Pooja Rani also beat their opponents to move ahead. Dubbed as the bout of the day, the light weight category match between five-time Asian championships winner, Sarita Devi and gold medal winner in the recently concluded 5th AIBA Nations Cup in Serbia, P Basumatary did not disappoint a bit. The experienced boxers began with testing each others' strengths and teasing each other in the first round. Sarita stepped up aggression in the second round but a sharp right jab from Basumatary threatened to rattle her for a moment. Nevertheless, the senior and more experienced of the two, Sarita continued to enjoy upper hand in the duel. The third round became more intense with Sarita going all out to assert her dominance and the result was 3-0 in favour of Sarita. Earlier, a calm and composed Mary Kom shifted gears with ease to oust her Uttar Pradesh rival Soniya in the fly weight category bout. As was seen in day 1 of the event, Mary Kom preferred to keep a distance from her opponent while cashing in on every opportunity to score. In the end it was a 3-0 verdict, in favour of the Asian Games gold medalist. Others who impressed on the day were the young Nikhit Zareen and Sarjubala Devi in the fly weight category and Aruna Mishra in the middle weight category. The boxers will sweat it out in the semi-final round scheduled to begin at the venue at 2pm on Thursday.